Taking its own place of reference within international yacht and sail, Vilamoura Marina offers 825 berths and can accommodate vessels up to 60 metres. 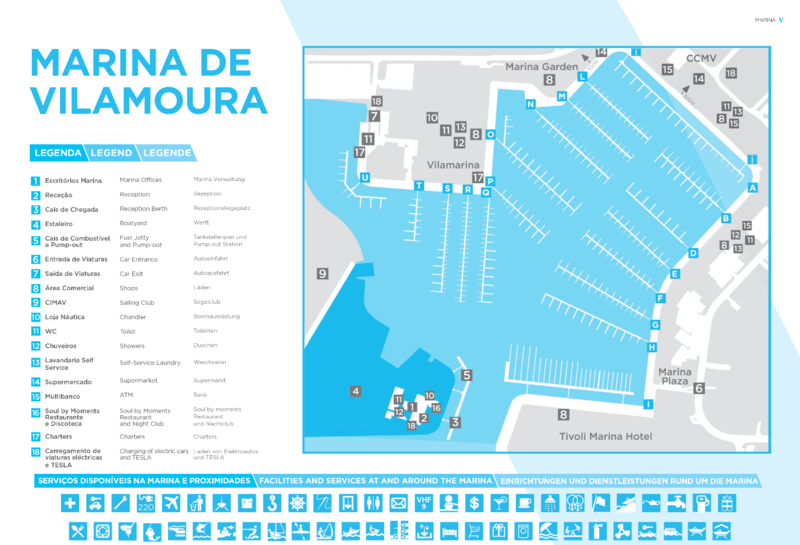 It is the largest marina in Portugal and the one that offers the best quality services to sailors and vessels. On arrival, please moor at the reception pontoon and proceed with check-in. Our friendly staff will provide first class customer service and expert advice. They will help with official formalities.